Welcome to Dolphyn’s latest Newsletter where we share important and exciting news about our future. People who have followed our work closely will know of my personal involvement with Lifeline for many years. I started as a volunteer Director in the Newcastle & Hunter region in November 2012. Dolphyn began in March of the same year. In July last year, after some internal changes at Lifeline, 4 of the 41 Lifeline ‘Centres’ (offices) operating across Australia decided to join together, combining resources and teams, while at the same time continuing to deliver local services and building relationships in the communities that we serve. This new venture, within Lifeline Australia, is known as ‘Lifeline Direct’. Warrnambool (in South West Victoria). We also have a funded counselling program in the New England (NSW). From 24th September this year though, I move into another new role. This time, it is a full time and ongoing role of Executive Director, Lifeline Direct. In this role I will be part of the Lifeline Australia Executive Leadership Team, reporting to the CEO. What does this mean for Dolphyn? This effectively means that my work with Dolphyn will be put on hold for the time being. Because of my commitments with Lifeline over the past 12+ months, I have been winding back my consulting activities, while at the same time working with colleagues to support clients; including our longest standing one, Harris Farm Markets. I’ve been grateful for this support, especially from my dear friend Gab Carlton at Resilyence. So, after 6 years consulting for various organisations through Dolphyn, I’m feeling a healthy combination of both excitement and anxiousness, as I move into this new full-time role with Lifeline Australia. I have been supported by some wonderful people over the past 6 years including; Gab, Rob, James, Shona, Hayden, Roy, Steph, Gary, Aaron and of course our dear mate Max. However, after a period of deep self-reflection, in particular over the past 12 months, I feel that I’ve found my purpose and that Lifeline Australia is the place for me to head next to continue the ‘learning adventure’ that is ‘living’. I intend to continue writing occasional blogs and reflections, however these are likely to be less frequent than in recent years. I’m also working on a new book which I aim to complete over the next six months. I look forward to engaging with you in different ways and look forward to staying in touch. Thanks for your support. Lifeline was founded by the Reverend Alan Walker at Methodist Central Mission in Sydney in 1963. Since then, Lifeline services have been established around Australia and in many parts of the world. Over the years, Lifeline has expanded its operations from the traditional telephone crisis support line and now include a range of community-led services that aim to relieve the stress and pain of the people in our local communities through services such as; face to face counselling, community engagement and training. We also have retail and fundraising teams who are tasked with raising funds for all of the above activities, along with our tireless support team. Working together, our aim is to make sure that when Australians are in crisis, we are there to meet them in a way that works best for them. 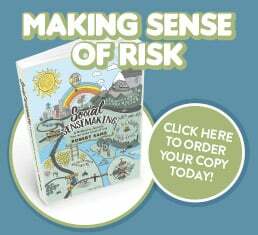 Regular readers of this Newsletter will know that The Wayside Chapel, in Sydney’s Kings Cross, has been a special place of learning for many who have studied the Social Psychology of Risk. It is a space that allows; imperfection, learning, forgiveness, community and ‘meeting’, to exist together in a spirit of real living. Graham Long was the CEO and Pastor at The Wayside for the past 14 years, where he lead significant change, least of which was a new building after it had been condemned. Although probably more importantly, Graham provided a vision and influenced a philosophy, where in that same building, community is created where; “there is no us and them”. Graham is also an accomplished author and speaker. His books include; Wayside (2016), Love over Hate: Finding life by the wayside (2013) and Stories by the Wayside (2011). Graham was admitted to the Order of Australia as an AM in 2015. He has been married to Robyn for 40 years. They have a daughter Mandy. Their son James died in 2009*. Graham finished in this role in August 2018. In recognition of his work at Wayside, a tribute was held and two videos from the day have been published. I feel privileged to have been introduced to Graham, after studying with his brother Rob. Being able to experience The Wayside on many occasions, including sharing in learning by presenting programs there myself, has been a great influence on my decision to work more closely in the social services sector and ultimately Lifeline. During his time at Wayside, Graham wrote a weekly column to their Inner Circle, a tradition that has been carried on by Grahams successor Jon Owen. These weekly columns share the very real stories of very real people who ‘live by the wayside’. It was through reflecting on these stories, especially with my dear mate Max Geyer, that I learned so much. Having spent a lifetime working in an industry more focused on, and worried about, controlling and policing people, rather than ‘being’, ’empathising’ and ‘meeting’ them; Graham’s weekly stories provided much inspiration for a move to working in a field where these things come more naturally to people. It’s for this reason that Graham, through his experiences, living and of course failings, has become a mentor. That is, someone who has caused considerable thinking and helped me to realise a new ‘way of being‘. I’m pleased that I’m able to continue my relationship with Graham beyond ‘The Wayside’ and know that I will continue to learn from the wisdom that comes from a person who understands that as Buber (see below) suggests; “all real living is meeting”. I shall dedicate my time at Lifeline to ‘meeting’, afterall, isn’t that real living? The focus of the workshop will be on culture, leadership and risk in particular, unpacking the Culture Cloud. Dr Long uses a semiotic understanding to bring greater meaning to the nature of culture (https://safetyrisk.net/safety-and-risk-culture-cloud/). Dr Long states: ‘Without an understanding of culture as the ‘collective unconscious’ and semiosphere, culture remains trapped within a mechanistic definition and loses its rich complexity in knowing how to better tackle risk’. Places are for this unique workshop are quite limited so get in early with your booking. “The primary word I–Thou can be spoken only with the whole being. Concentration and fusion into the whole being can never take place through my agency, nor can it ever take place without me. I become through my relation to the Thou; as I become I, I say Thou. 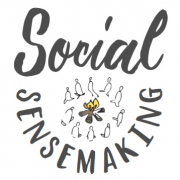 Have You Read Social Sensemaking? k have been sold along with around 350 eBook editions. 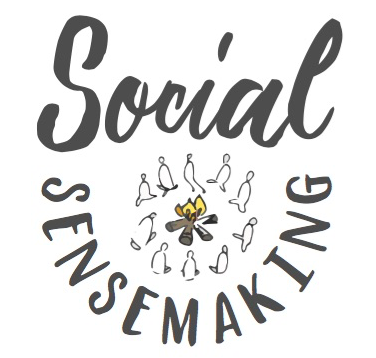 If you haven’t had the chance to read Social Sensemaking and would like to, simply click on the link below to order your copy. We’d love to hear your thoughts once you’ve had a chance to read it. Being in community with others is important for us here at Dolphyn, thanks for being part of it. We look forward to sharing and learning with you throughout 2018.